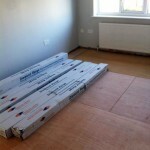 This entry was posted in Bamboo Floors, fitting bamboo flooring and tagged before bamboo installation, storing bamboo flooring, bamboo floor acclimatise, bamboo floor acclimatisation on April 11, 2019 by chris elliott. Will my Bamboo floor need an expansion gap? Yes, your bamboo floor will need an expansion gap. This allows for the planks of bamboo to naturally expand and contract with changes in temperature and humidity. 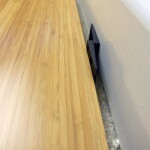 If you do not have an expansion gap, your bamboo floor could start to crack and lift up. 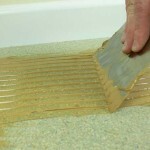 Finally, once the floor has been fitted, you will cover gaps with bamboo flooring accessories. 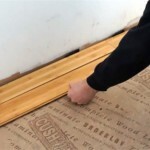 This entry was posted in Bamboo Floors, fitting bamboo flooring and tagged bamboo fitting tips, flooring spacers, bamboo expansion gap, expansion gap, fitting bamboo, flooring expansion gap, bamboo flooring expansion gap on February 18, 2019 by chris elliott. 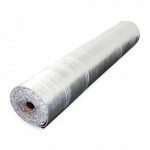 Which Bamboo Floors can I use with Underlay? This entry was posted in Bamboo Floors, fitting bamboo flooring and tagged underlay with bamboo, underlay for bamboo, floating bamboo floors, loose laid bamboo, floating floor on November 26, 2018 by chris elliott.